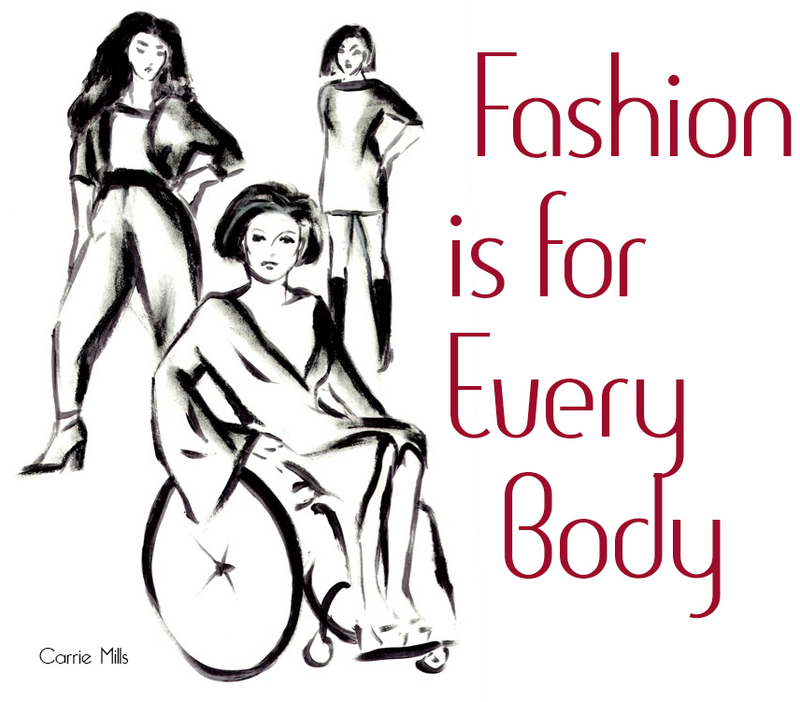 I write about the world I live in and the clothes I wear when I make my way through that world as a 50+, curvy, disabled woman. I'm very aware that these things alone make me very different, and it would be easy for me to descend into bitterness and resentment over the things I can't do and will never have (in fact, I sometimes do. I just do it privately). But there is always a bigger picture, an aspect of what I'm doing, that I try to impart in my posts, even if only through implication. You have to make the best of what you have in life. None of us will ever have it all. Not the perfect body, not the perfect job, not the perfect relationship. But all of us have the ability to do better and be happier people by focusing on the one thing in life that we do have, and that is ourselves. It isn't easy, or consistent, and it will always be an ongoing process, but everything about your life has to start with you as an active participant. That's why I want to share the bullet points from this Lifebuzz Article, 30 Things To Start Doing For Yourself. I encourage you to click on the link and read the entire post but, even if you don't, you really should read these and ask yourself if you're affecting your own life in a positive, active manner. I'm going to look at this list whenever I feel like I've lost my way, because I can always do better. What about you? Do any of these resonate with you? Linking up with Thursday Favorite Things Blog Hop. More fashions next time around!